Welcome To Our Free Solar Panel Calculator And Solar Power Calculator Designated For Designing Off-Grid Solar Power Systems and On-Grid Solar Panel Systems. If you want to design your off-grid solar power system for your off-grid home, cabin, cottage or lodge and mobile solar power system for your RV, van, motorhome, car or boat or your grid-tied solar panel system for your residential home you’ve come to the right place. Please scroll down to read the Help file showing you how to use this free solar calculator. To use our solar power calculator you need to have Adobe Flash Player installed. Therefore, If you are using Iphone/Android you may have difficulties in viewing our solar calculator. Looking For No Hype Proven Solar Power Products or Solar Panels? Click here to Discover Your Proven Solar Panel or Solar Item Now! Here is a quick guide how to use the calculator. 1. How many KiloWatts-Hours (kWh) do you use per month? You are asked to quote your monthly consumption according to your monthly electricity bill. 2. What percentage of this power will be used by renewable solar energy? If your home is connected to a utility grid, it is rather uncommon to offset all of your consumption to a solar electric system. A fair percentage is usually 30 to 40, you are free however to choose a lower or a higher percentage value. 3. Average Sun Hours per day? expand the ‘Solar Resources’ folder on the left and tick the ‘Avg. Annual Tilt at Lat’ checkbox. After that you will see a map of the United States with Average Sun Hours plotted on. Then by clicking on the little black arrow right to the checkbox, you can expand the legend and see the value of Average Sun Hours for your location after zooming in the map as much as you need to find the place where you live. Eventually you get the minimum and the recommended size (in Watts) of the solar system you need. ‘System size’ means the total power of the solar panels that need to be installed on your roof to meet the electricity consumption target you want to offset to the solar system. Please don’t forget to divide the value of yearly sum of global irradiation in KWh/m2 by 365 to obtain the value for average Sun Hours per day. 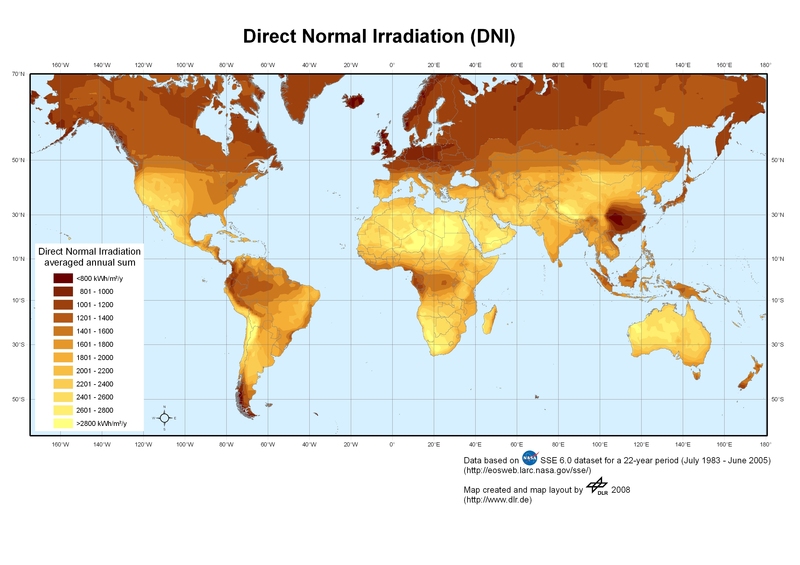 3.4 If you live outside USA and Europe you can find the Average Sun Hours per day value for your country by using the World map of direct normal irradiance, which means that these values are applicable for the solar panel held perpendicular to the sun rays. In other words, the tilt of your solar panels is equal to the latitude of your place. On Grid Solar Calculator Assumptions: Recommended System Size assumes 85% solar system efficiency or in other words 15% total system losses. How to calculate number of solar panels needed for your solar system? For example you have calculated that you need Recommended System Size 5000Watts. You have chosen your system voltage to be 12V and your solar panel to be 240Watt for 12V solar system. Number of solar panels needed=5000/240=20.8 solar panels. After rounding it up we receive that you need to buy 21 solar panels. Please, use the update button below the calculator body to update the calculated results if those results are not updating automatically. 1. What is the total Watts (W) you electronics will consume? You need to sum the wattages of all the electrical devices you use and therefore you want your off-grid solar system to support. Each device has its wattage on its back label. 2. For how long are you planning to run these devices? You should decide for how long you have all these devices plugged in, so that the solar system will be able to power them. Here you need the average hours of operation rather than the maximum ones. Charge controller is a device that manages the battery of a solar system. PWM charge controllers is less expensive than MPPT charge controllers but they are also less efficient. 4. Average Sun Hours per day? -up to 2 days autonomous work with no additional charge of battery due to bad weather or system failure at 100% battery discharge, which is not recommended and may destroy your batteries. -up to 1 day autonomous work with 50% battery discharge. 2. Minimum system size takes into account 3% cable losses and 80% efficiency of battery bank. As you know batteries have losses due to temperature influence and discharge rate. Generally, lower temperatures, especially negative ones, and higher discharge rates in Amperes may drastically reduce the battery bank efficiency. 3. Recommended system size takes into account charge controller efficiency being inputted.